So glad I held onto this pedal! 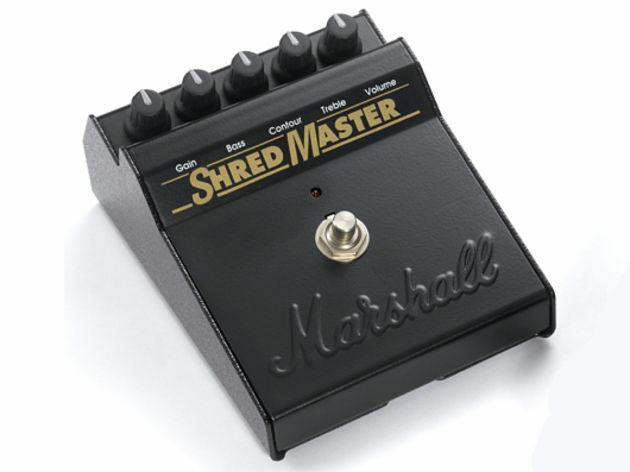 Shred Master, Distortion from Marshall in the Effects series. I bought this from a friend along with a Roland JC 120 a long time ago now, it was my first "bigger" amp and with this pedal I was in heaven. 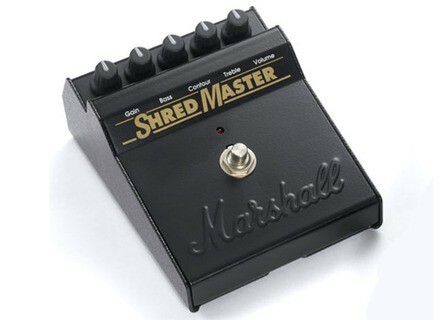 Not too long after I started making payments on my first Marshall halfstack, a 1st gen 8100 with an 8412 cabinet which had the same contour knob as the shredmaster, just more. I always kept this pedal around, it was great for a quick portable option or even used with headphones or a portable stereo. I regrettably parted with the JC 120 but I have turned down many offers on this pedal even though it saw very little use for a long time. I dug it out a while back and realized its amazing running into an all tube amp and have fallen for it again 25 years later. I had to clean up the pots and was able to rig up a battery door latch because I was sick of the ancient duct tape holding the battery cover (broken tab). It looks pretty good compared to others I have seen and it works great after a little love. I hope in another 25 years its still going strong! I have been running this through a b52 st100a and my old marshall 8412 cabinet (head died but cab is going strong) and a 1984 carvin x100b head and 4x12 cabinet. The only other effect I use is a 1st version morley bad horsie vai pedal. Mostly I play an old esp explorer (ex-350) and an old Horizon which i'm pretty sure is a "19th street guitar" (its just like Page Hamilton's from Helmet but black) Both have floyds (horizon has the sinclaire) and I run EmG's in both. An 81/85 in the explorer and an 81 in the horizon, both with 18v mod. Gotta love some of that era's gear!